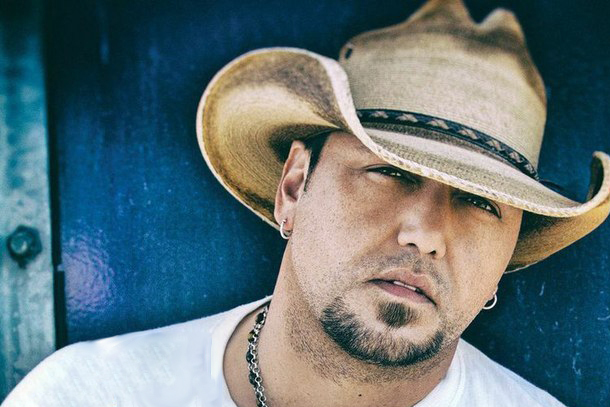 Jason Aldean lands at #1. Toby Keith and Aaron Watson debut. Just like last week where the absence of Jason Aldean's singles shook up the Top 30 Country Digital Singles sales chart, this week we find an utter lack of Florida Georgia Line hits (like "Dirt") because of the fulfillment of pre-orders. This leads the chart a bit light (though FGL's old single "This Is How We Roll" makes an appearance. Leading the chart this week is Aldean's lone single on it, "Burnin' It Down." The Single has now scanned over 1,000,000 tracks to score Platinum. Carrie Underwood's past the 200k download mark in three weeks with "Something In The Water" while Sam Hunt's "Leave The Night On" enjoys a #3 slot with 664k scanned. Blake Shelton sits at #4 with 278k singles sold of "Neon Light" while Kenny Chesney is at #5 with "996k" fans owning "American Kids." Maddie And Tae have crossed the 300k download mark with "Girl In A Country Song" while Chase Rice is approaching 900k scanned for "Ready Set Roll," his Top 5 Radio debut. Tim McGraw climbs up the charts to #8 with "Shotgun Rider" while Frankie Ballard sits at #9 with the nearly Gold "Sunshine And Whiskey." Rounding out the Top 10 is the debut of Texas artist Aaron Watson's "That Look." Luke Bryan's nearly Gold with "Roller Coaster," Lee Brice is up to #11 with "Drinking Class," his latest anthem. Toby Keith debuts at #16 with "Drunk Americans" and Little Big Town's "Day Drinking" hits #19 and has surpassed 400k to date. Big and Rich and Raelynn make their return to the Top 30 with "Look At You" and "God Made Girls," respectively. Mickey Guyton debuts at 48 with "Better Than You Left Me."